Hope all is happy and healthy in your world. As always lots to tell you about so lets get going. This event held on 13th October was exceptionally supported by over 80 people contributing to the cause. 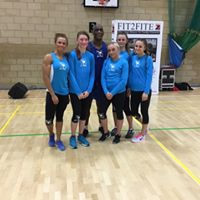 The vibe was fantastic and up front and centre were the athletes prepared to represent their country: Jordan Clarkson, Danielle Kirby, Claire Burton, Lauren and Chloe Salisbury. 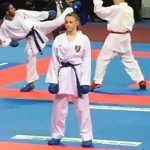 FIT2FITERS Lauren, Chloe, Jordan and Danielle competed in ther World Junior Karate Championships in Tenerifer from 24 – 29 October. With 95 countries competing they had their work cut out losing in the earlier rounds to tough opponents. 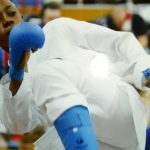 The girls were back to FIT2FITE and karate training on their return understanding that ability gets you selected for a national team, , composure and coaching gets you on the rostrum. Lauren and James Francis who also trains karate and F2F with Greg have both been selected for the European Junior Championships in Russia in February 2018. We wish them luck. 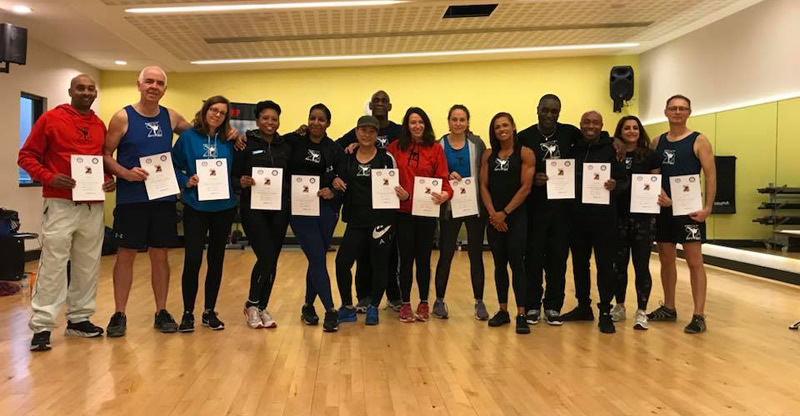 With that in mind congratulations to FIT2FITE Silver Instructor Claire Burton our resident Word Champion. 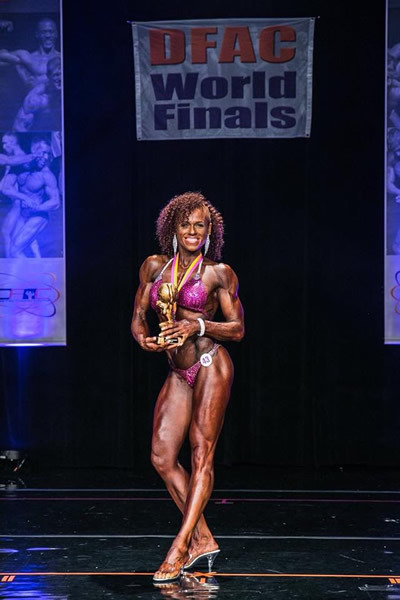 Claire won the Drug Free Athletic Commission Body Building Championships (DFAC) in Miami on 4th November After dusting herself down from the rude awakening she had first time she entered, this time she got it right and posed the pants off of everyone. Claire we are all both proud and inspired by you. There will also be a rollout of “the FITE” a new high intensity, music based, 30 minute fight based workout with “SPEED” at the fore. 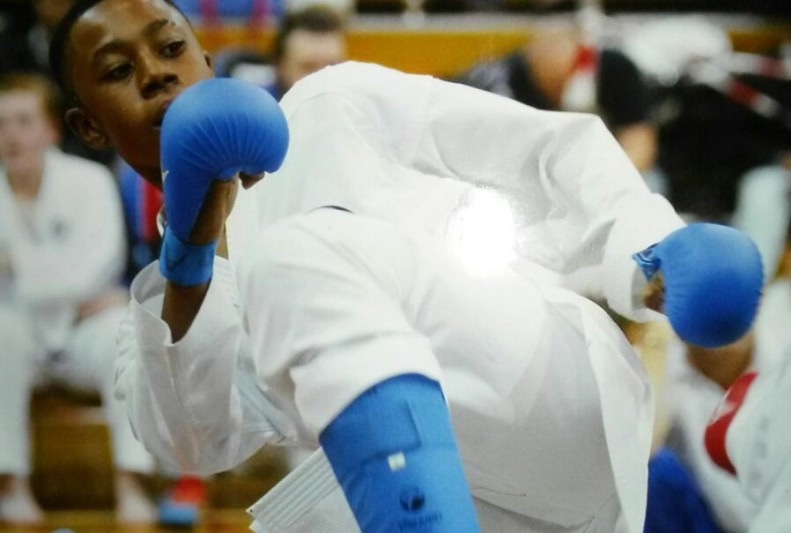 The next Bronze Grading is open to all FIT2FITE members. If not a member of your local FIT2FITE class ask your instructor when they are starting membership and how you can access these developmental opportunities. Greg has just returned from the constantly classy 3NESS Luxury Fitness weekender in Wokefield Park reading. As always a stunning venue with an exceptional line up of presenters , superb organisation and great atmosphere. FIT2FITE rolled out for the 2nd time “The FITE” to a packed and enthusiastic class. Greg and Dianne Reilly F2F instructor also introduced F2F Flexibility , a stretch /relaxation class for the mind, Spirit and body. In true FIT2FITE style the smoothest grooves married with with gentle stretches facilitating real mental dexterity. Everyone left the F2Flexibility classes proclaiming the benefits of this three pronged approach of Mind, Body and Spirit. Check it out at the Festive Frenzy on 10th December . Thanks again to Paul for a tremendous weekend and his ongoing support. Apologies fro us here at F2F Towers. We are looking to get all F2F Gear on line and are steadily working through a number of sticking points. Look out in the New year. On the subject of 2018 the next Newsletter will be in January 2018, so we wish you Happy and Healthy Xmas. Tick over your training during the Xmas break and everytime you think about treating yourself with another Glass on Prosecco or a Mince Pie. Remember one is Enough. or as Greg says, “Just because you can, you don’t have to”.